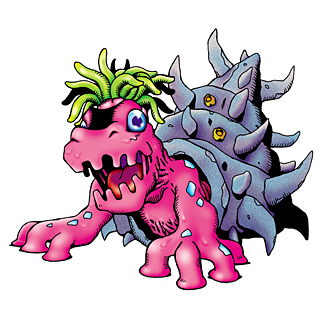 A hermit crab-like Digimon that lives in the margins of the "Net Ocean". 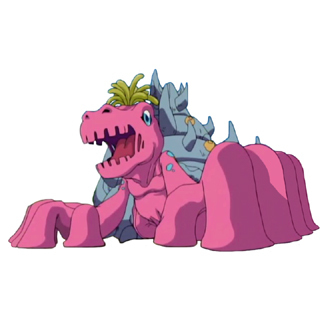 Although it has a turtle-like appearance when its settled inside its shell, for all intents and purposes it has a soft body like a mollusk. 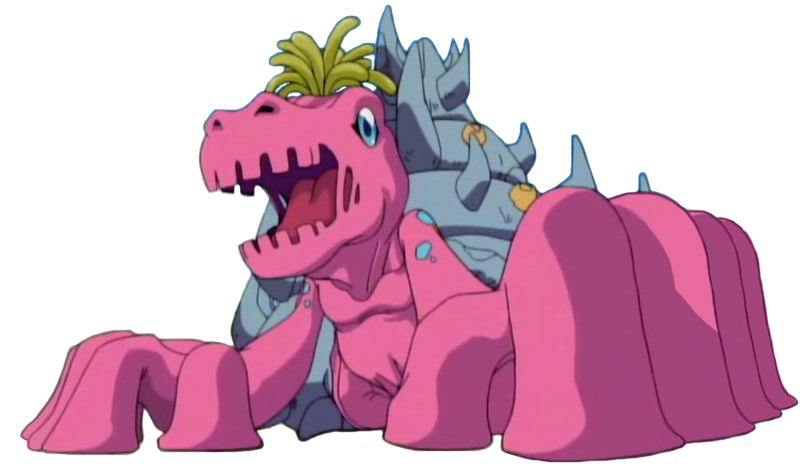 Because its body rapidly gets bigger as it grows, it replaces its home each time until it reaches the size of a small mountain. Also, if its body can fit all the way in, it has a habit of settling in. 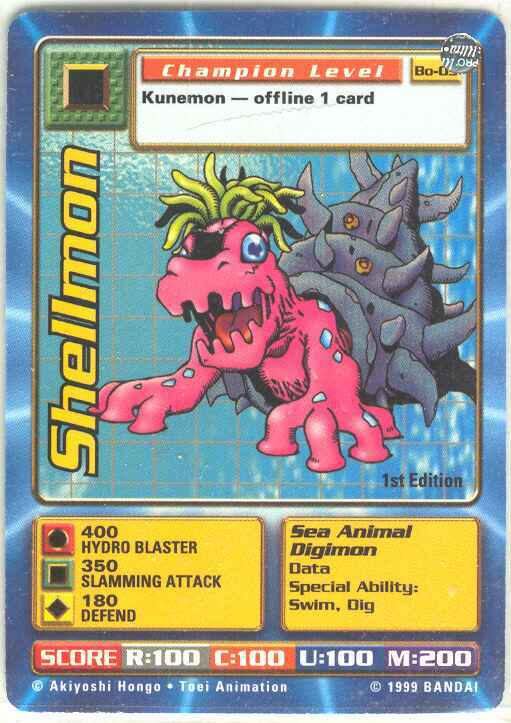 Since it has low intelligence and a belligerent personality, you must be careful if you come across a Shellmon. Its Special Move is shooting liquid at high pressure (Hydro Pressure). English. Shell is short for shellfish. Etymology English. Shell is short for shellfish.